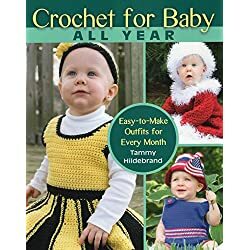 Easy crochet baby dress patterns are a wonderful way to develop a wardrobe for your little one. Plus it is a very popular item that beginner and experienced crocheters alike, enjoy creating. 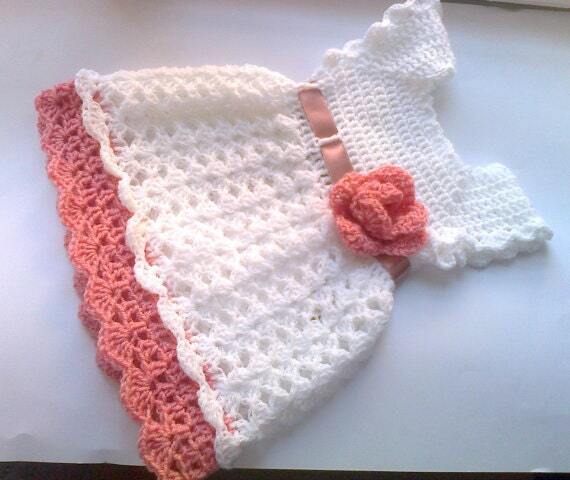 When I first started crocheting, I really enjoyed and made many little baby girl dresses. They are just very fun and so cute. I have chosen several precious little outfits for you. 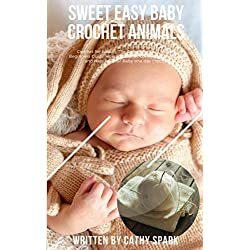 All are geared toward the less experienced crocheter, but even the experienced crocheters will enjoy these. And several of them are free. So enjoy your search for your next crochet project. This is the cutest little infant dress. The little one in the picture above is 8 months old. The woman who wrote this free crochet pattern gives her insights in to sizing which may be helpful to you. And of course don’t forget that you can change the yarn color, make it solid or textured. Make it your own. And if this is a gift you may enjoy the idea of finding out the nursery colors and coordinating this gift. 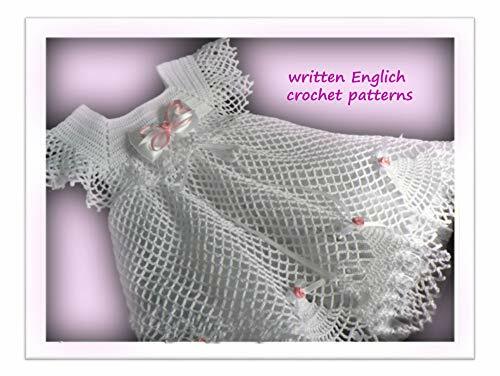 This is a a very sweet free crochet baby dress pattern. Etsy is a very popular site for very talented Artisans to sell their creations. These are beautiful patterns that are detailed and easy to follow. I have chosen only a few for you to see, but Click Here If you want to continue your search at Etsy. Lisa is an exceptional artist and creates the most beautiful crochet patterns. Her work is truly beautiful because it is all made and created with love. She gives a lot of details with her patterns, and makes suggestions for changes you might make, or yarn to use, or sizing help. This pattern is considered easy which is her specialty because she is very concerned that everyone enjoy this craft. Just Click Here to get this complete pattern and meet Lisa. 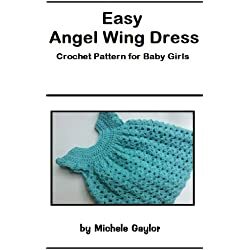 Pretty easy crochet baby dress patterns do not have to be difficult to be beautiful. In fact, this gorgeous little dress is easy to crochet and there is the added bonus of this dress having a video walking you through each step of making this dress. 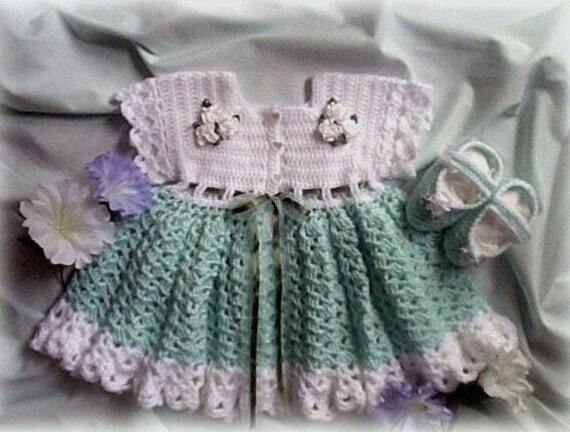 The perfect way to learn to make a baby dress and a really pretty one at that. In the video she even suggests the type of yarn she used to help you be successful with your creation. Here is the Video. 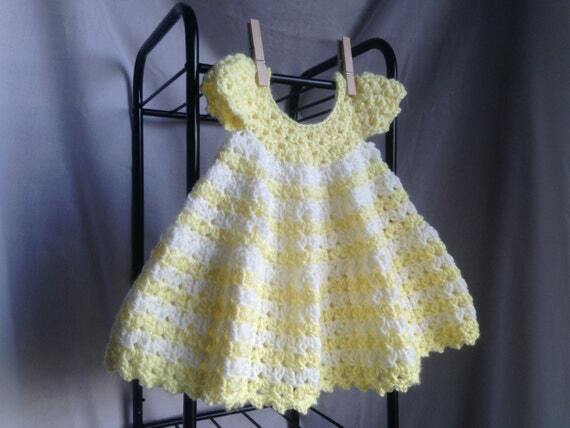 Very pretty easy crochet baby dress pattern for free. The author gives you very detailed instructions. And says she created this for beginner crocheters. This is a very fun pattern, and very pretty. Enjoy this one. And remember switch up the colors and textures and really make it your own.